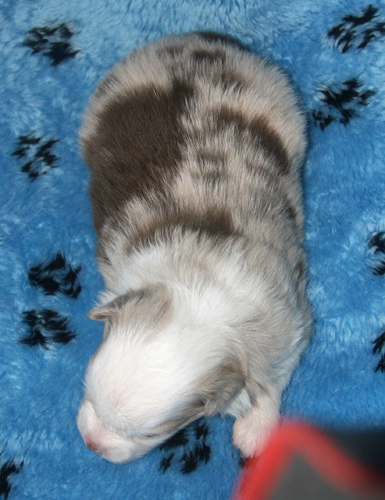 LuLu and Hemi had an amazing litter on 3-19-19. 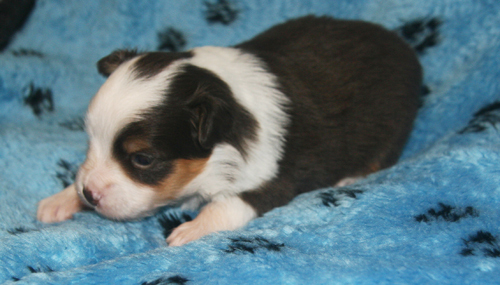 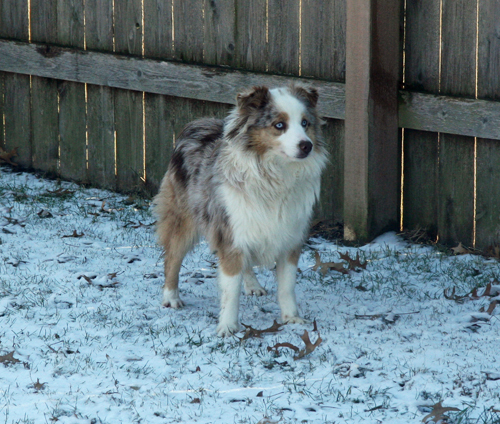 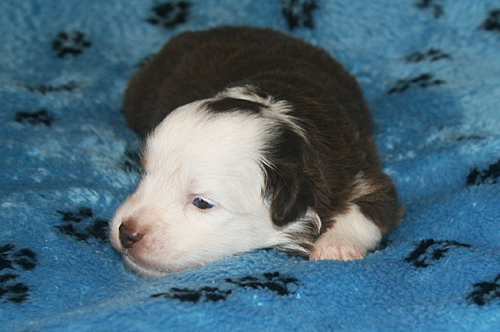 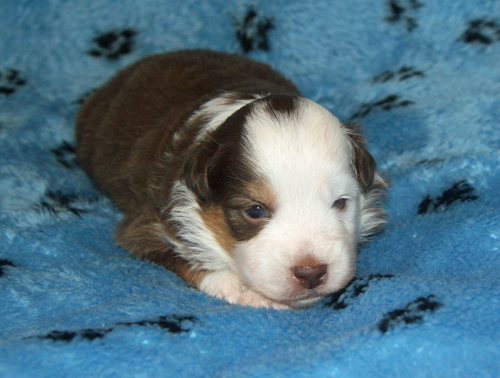 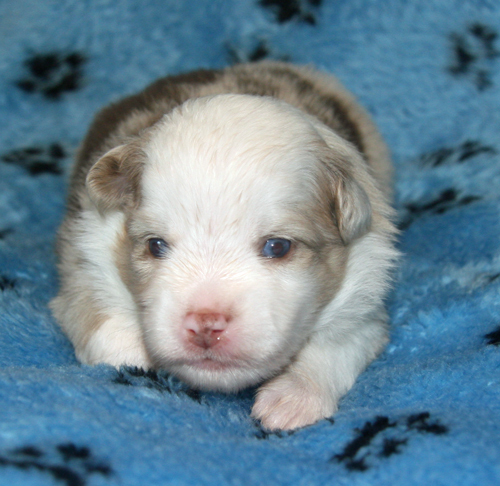 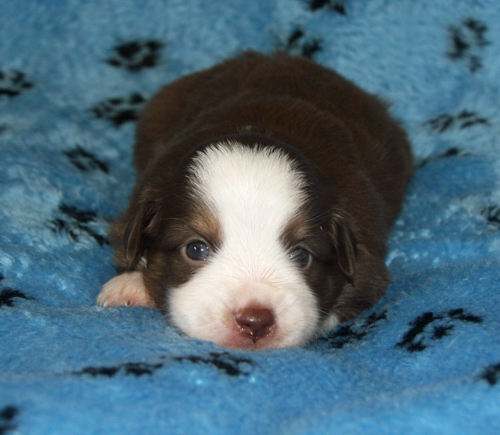 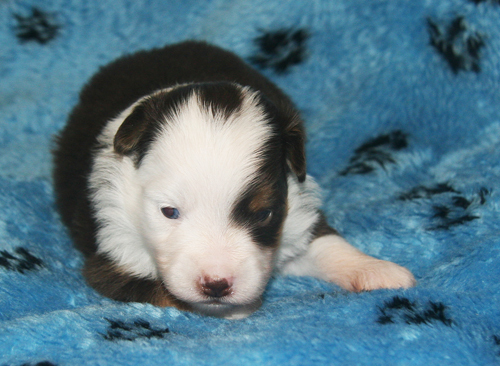 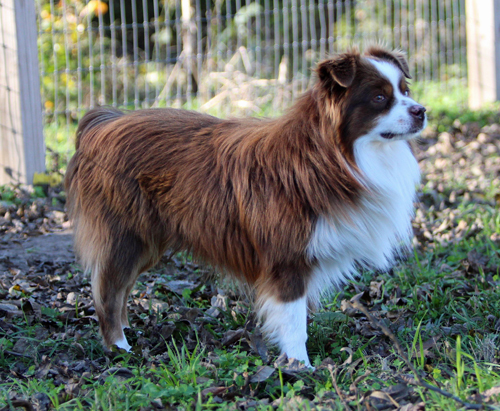 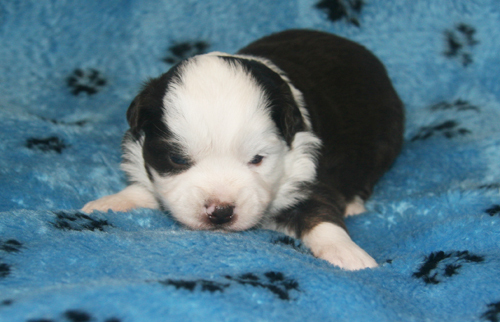 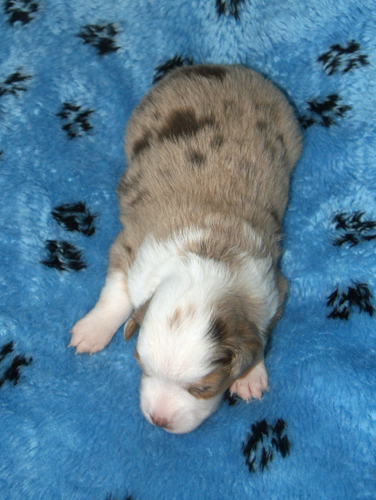 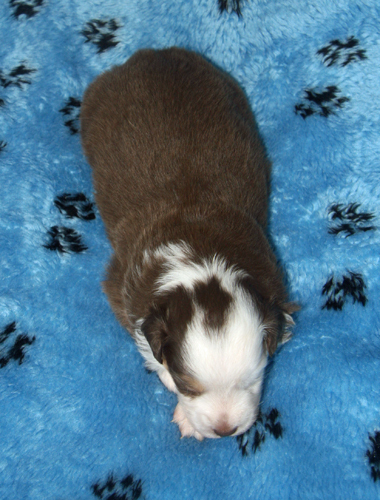 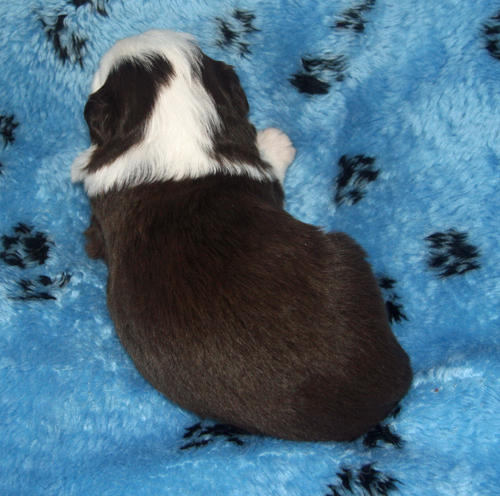 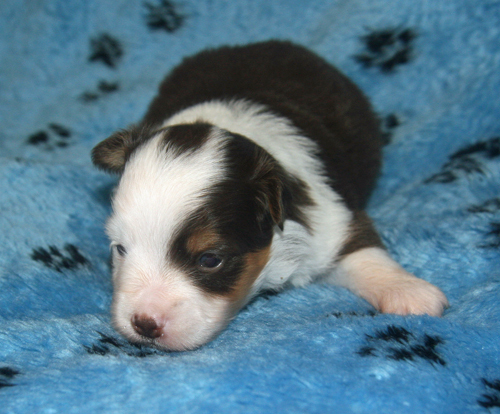 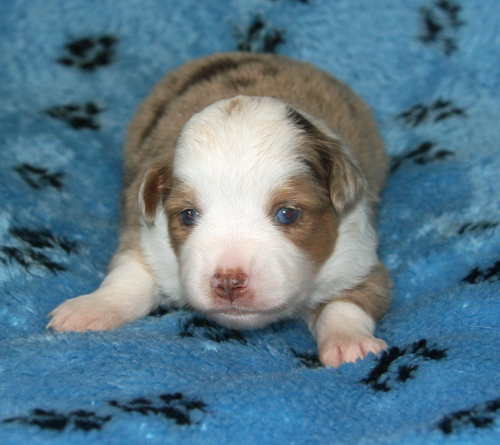 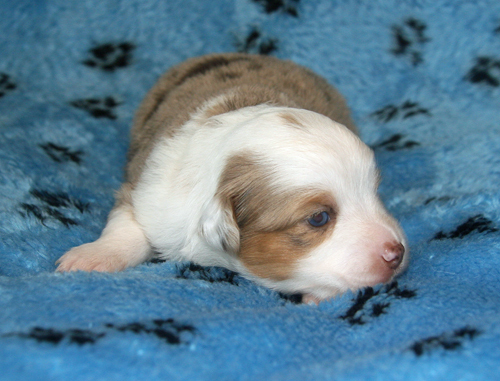 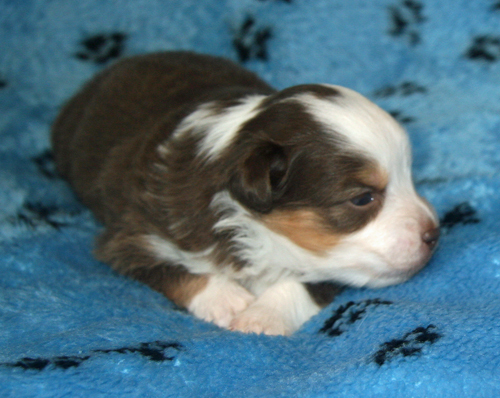 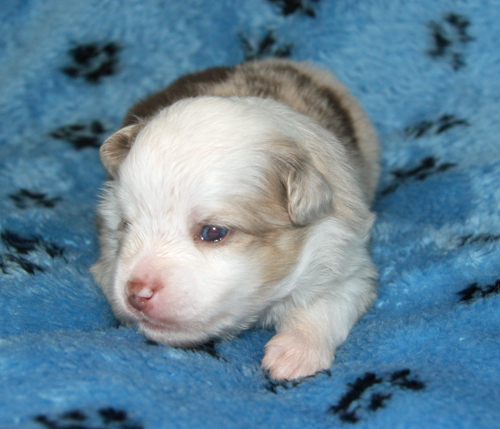 We have two red merle females, three red tri females and one red tri male. 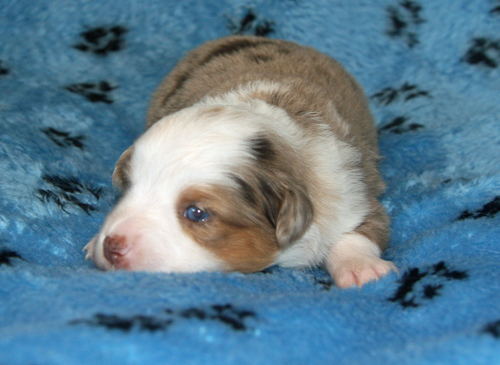 There may be some blue eyes in here! 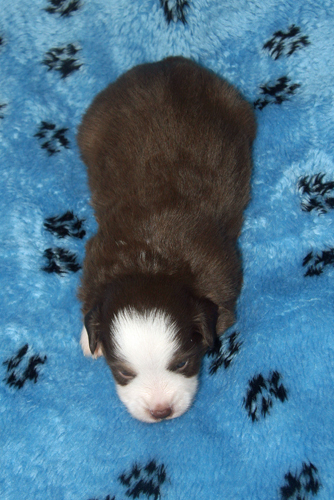 We are taking deposits on this litter now.